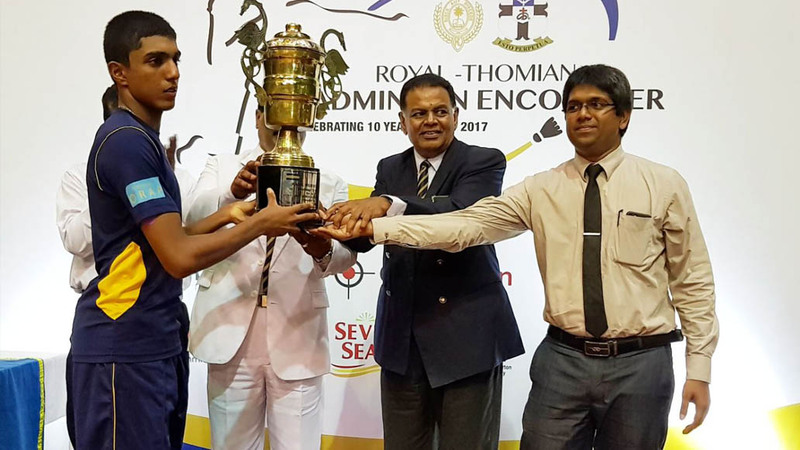 The 10th Annual Royal-Thomian Badminton Encounter was held at the Royal College Sports Complex, on 29th September 2017 from 2 pm onwards. 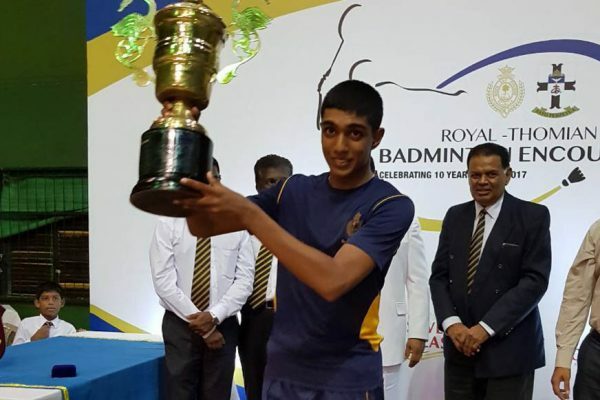 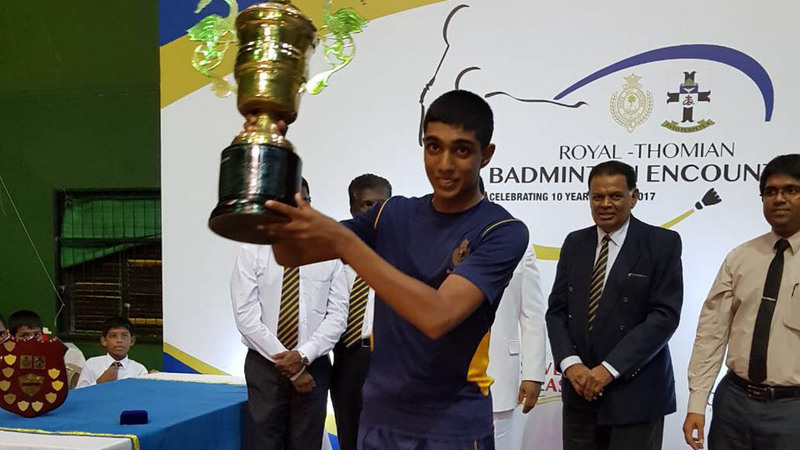 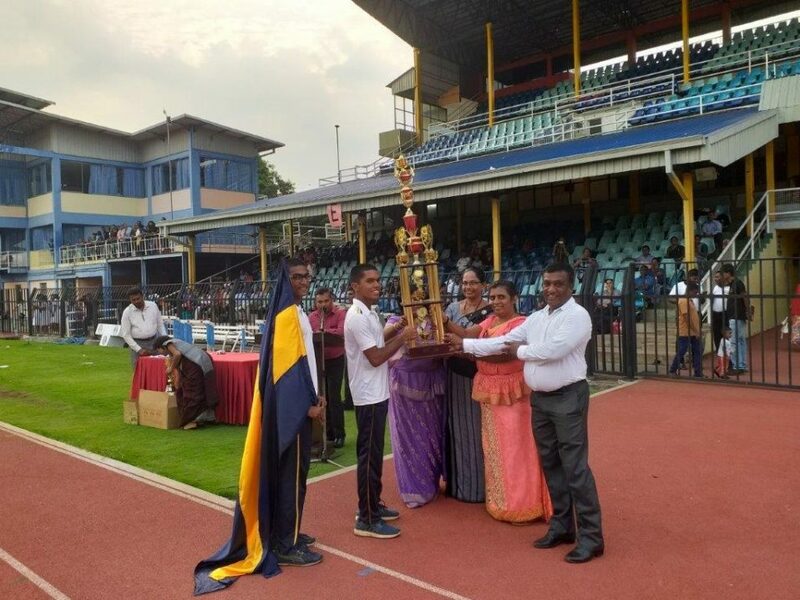 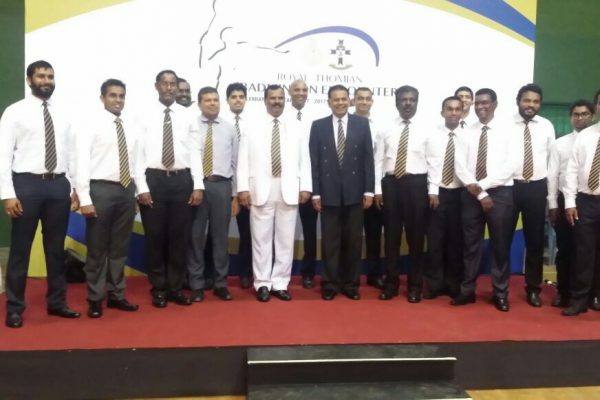 Matches in the under 20 category held for the Ranil Wijesekera Memorial Challenge Trophy, was won by Royal (3 – nil) where Royal won all the singles matches. 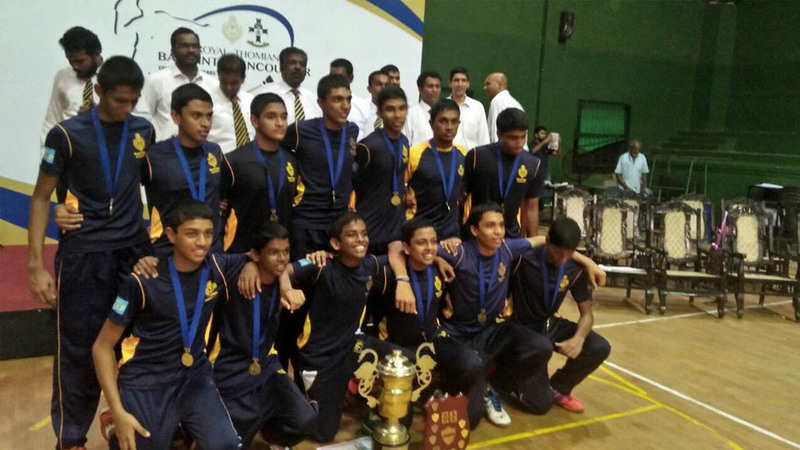 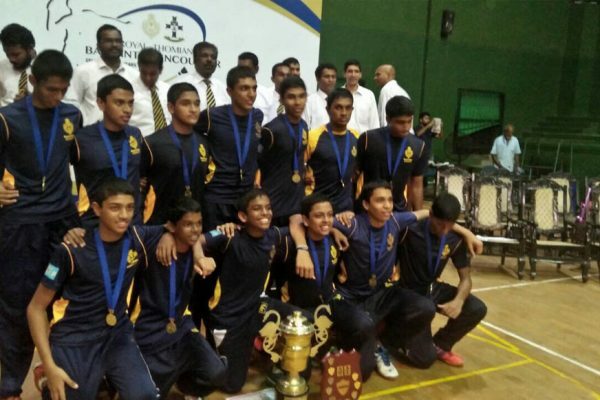 The under- 16 challenge shield was also won by Royal in the same manner. 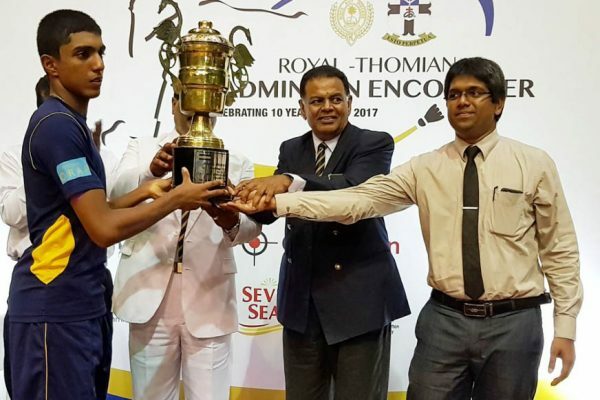 With this year’s win, Royal has won this encounter continuously, since 2012. 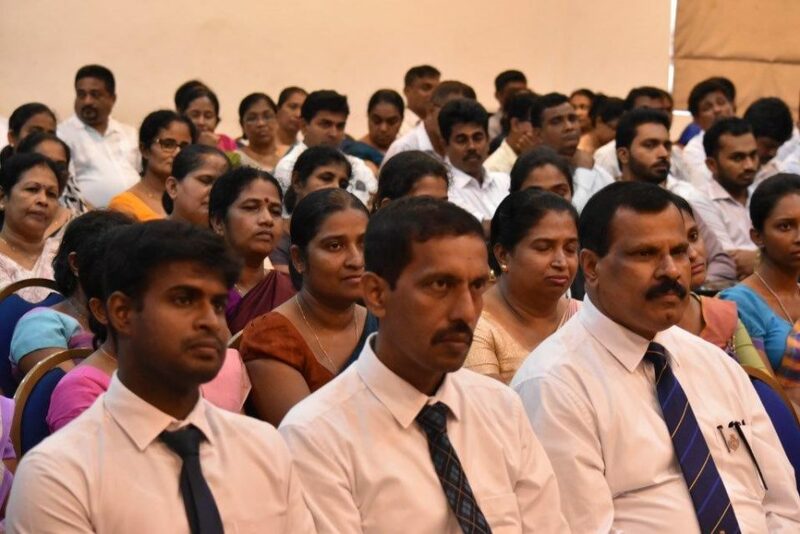 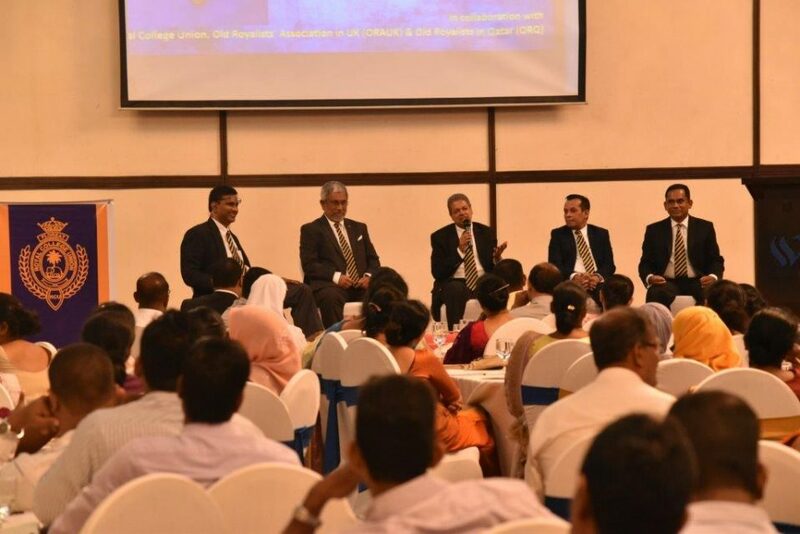 The chief guest at this occasion was former Captain, Cricketer and Head Prefect Mr. Jayantha Kudahetty. 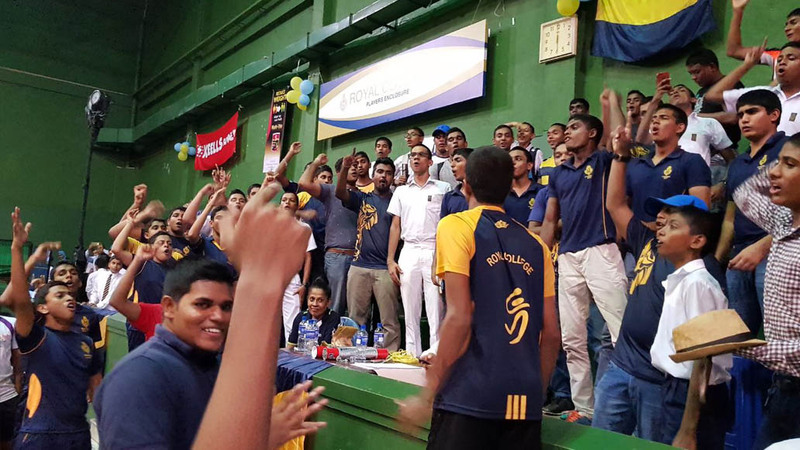 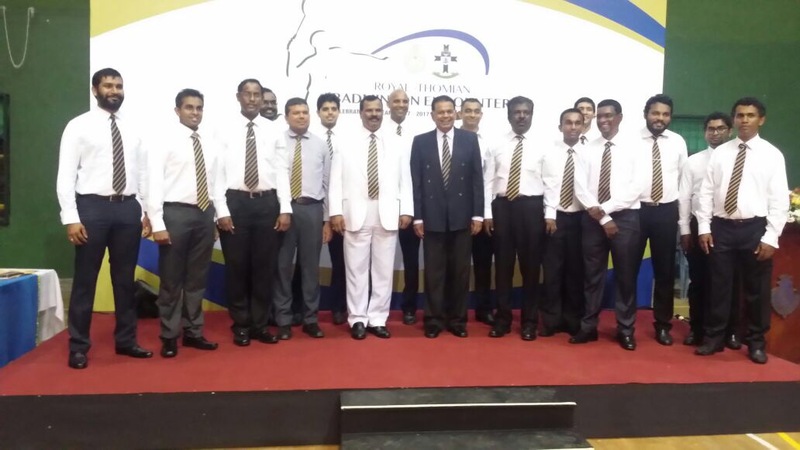 The event was organized by the Badminton Advisory & Management Committee with the assistance of the school authorities and was funded by old boys and well wishers. 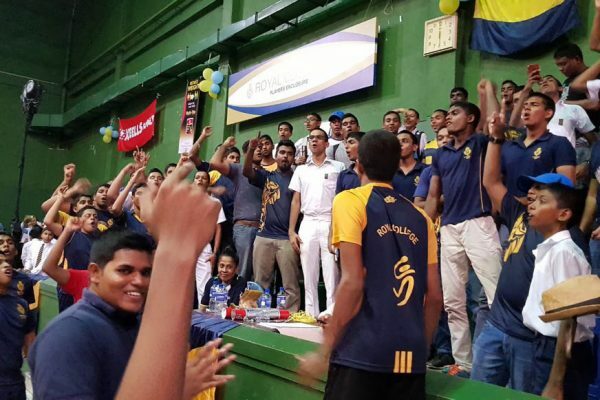 T-shirts for the teams were once again sponsored by the Old Royalists Association of Piliyandala.